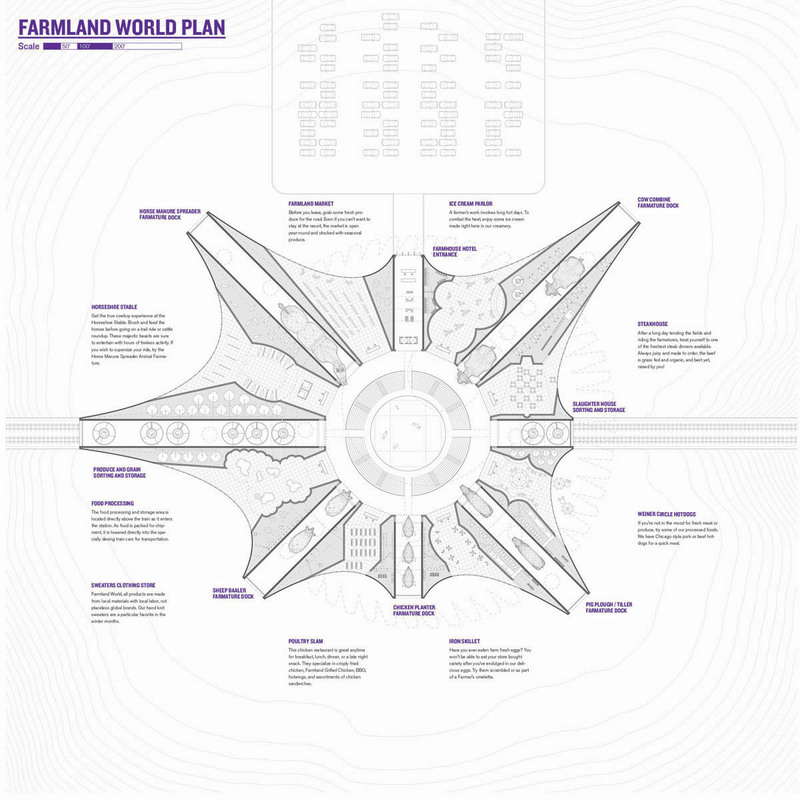 [Image: “Farmland World” by Design With Company (Allison Newmeyer and Stewart Hicks)]. 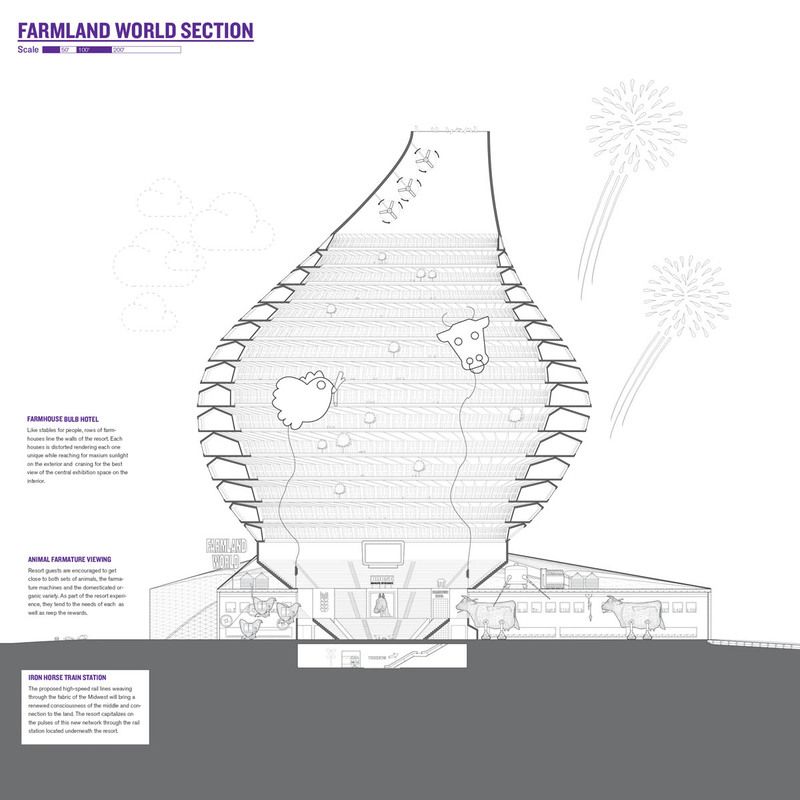 One of the runners-up for the recent Animal Architecture Awards is also one of my favorites from the competition: “Farmland World” by Allison Newmeyer and Stewart Hicks of the Chicago-based Design With Company. 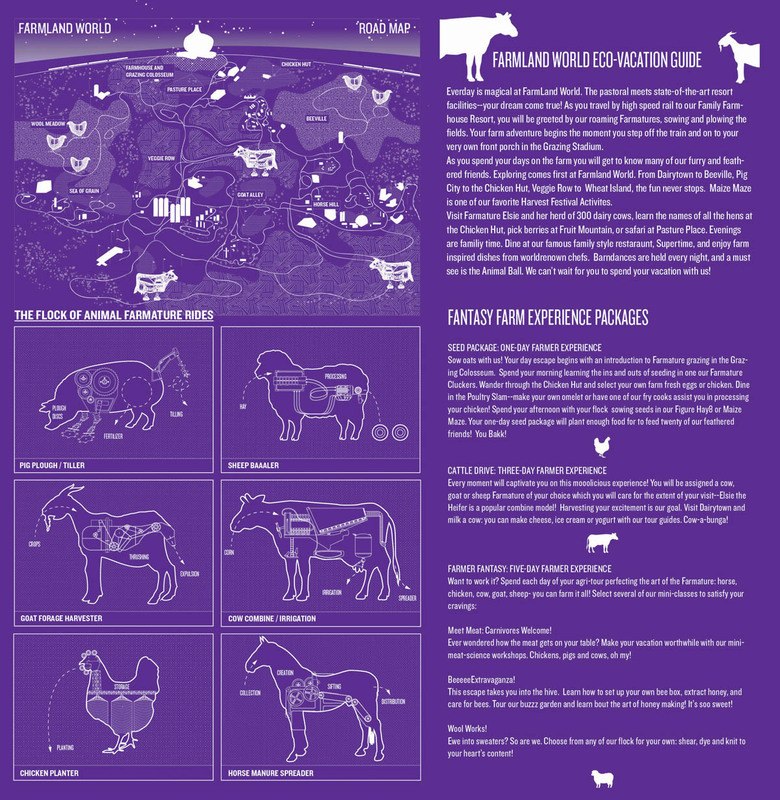 [Image: From “Farmland World” by Design With Company; view larger]. [Image: From “Farmland World” by Design With Company]. [Image: From “Farmland World” by Design With Company; view section in more detail]. 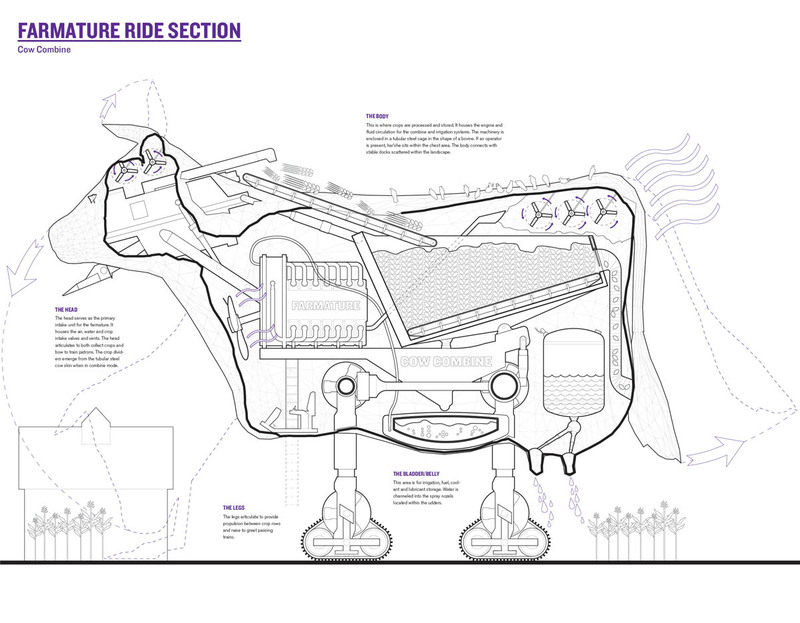 [Images: The robotic super-cows of “Farmland World” by Design With Company; view section in more detail]. As you can see in the project’s overall guide, there are a whole series of these giant robot animals. A “chicken planter” stands beside a mechanical “sheep baaaler,” which, in turn, is neighbors with a pig plow and a mechanical horse that spreads real horse manure from its techno-derriere. 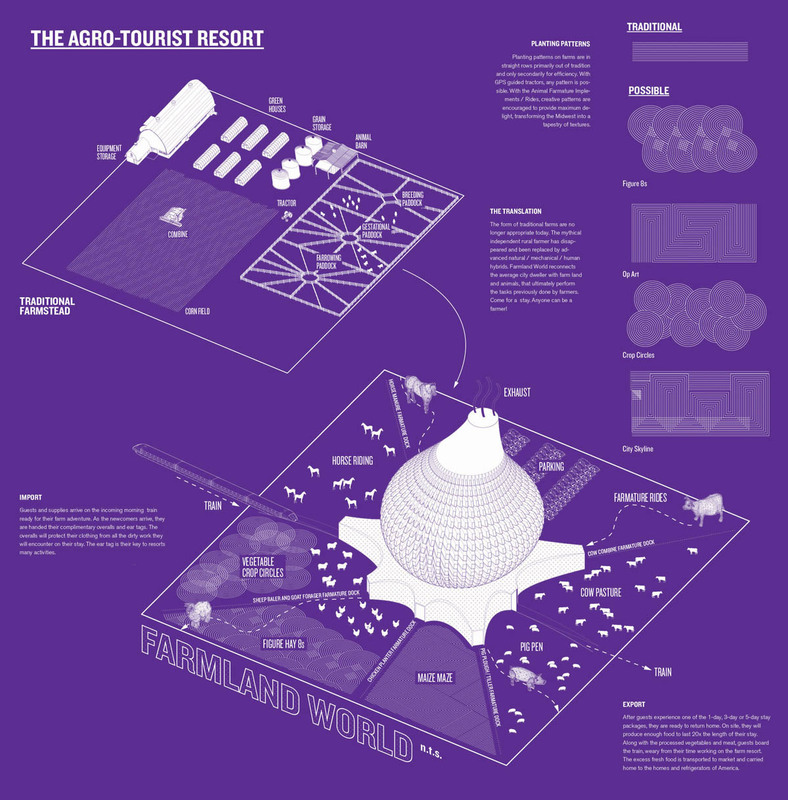 Think of it as Westworld in an age of vast industrial farming—a livestock Disneyland. On the project plan, you’ll also see such places as “Beeville” and “Veggie Row,” the latter promising an internally-animated range of machine-plants sprouting from beds of artificial soil. To go from this—a bovine proto-cyborg—to Design With Company’s beautifully rendered “Farmland World” doesn’t actually seem like such a stretch. Hmm… It's like 'Pink Floyd meets Hello Kitty'.